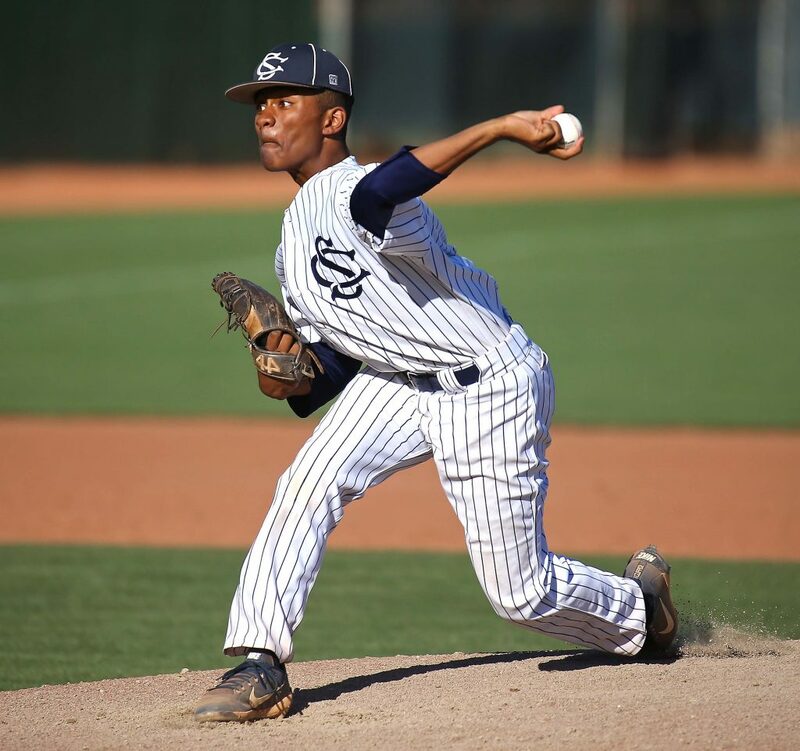 ST. GEORGE – Desert Hills stepped out of the shadows and captured two huge elimination victories over two traditional powerhouses Thursday. 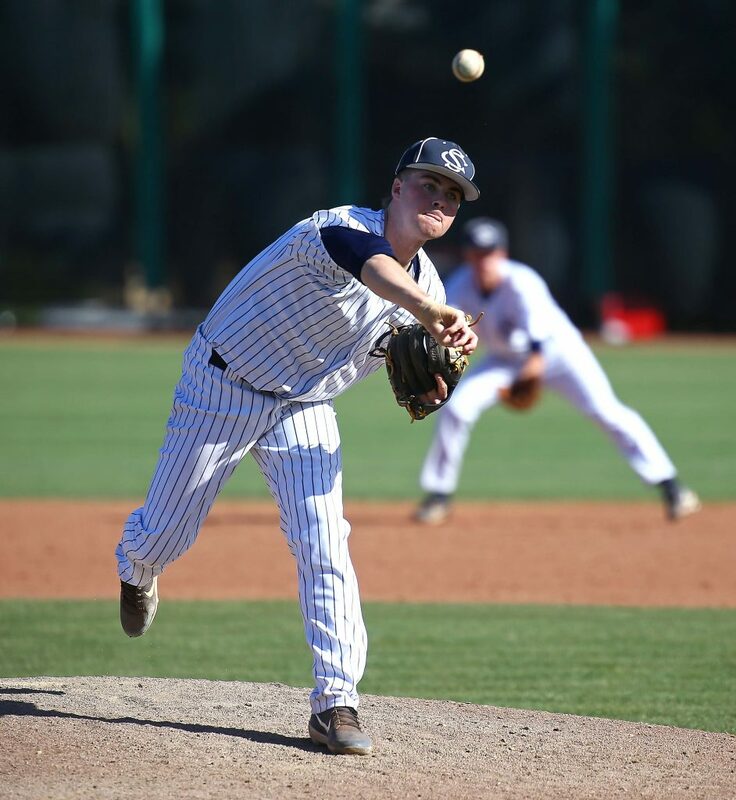 The Thunder knocked out Spanish Fork 9-8 and then bounced Snow Canyon 18-2 at the 4A state tournament at Bruce Hurst Field. 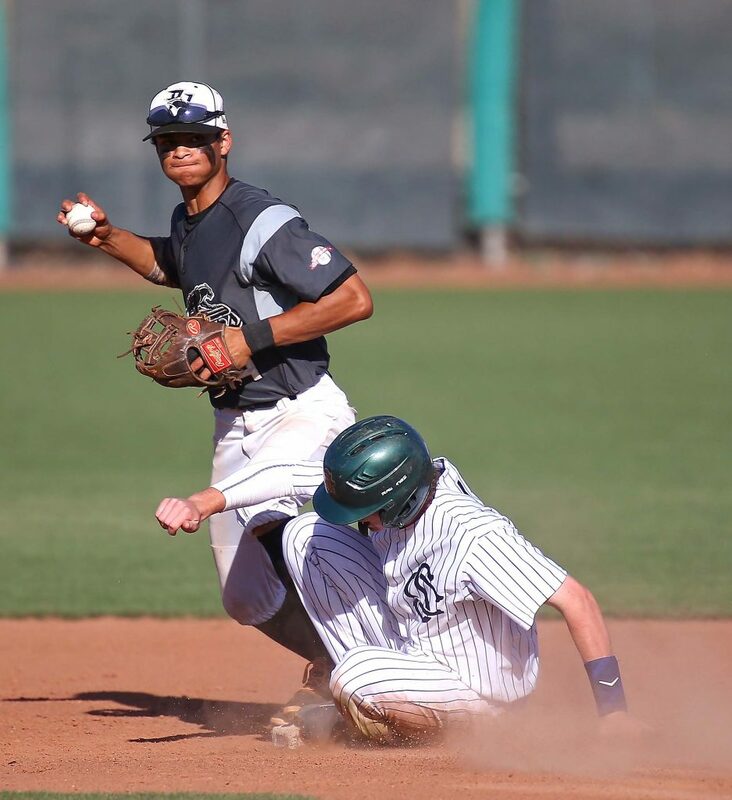 After laying an egg against Juan Diego Wednesday, a new team with a new attitude hit the diamond Thursday as the Thunder played perhaps their best baseball of the year. 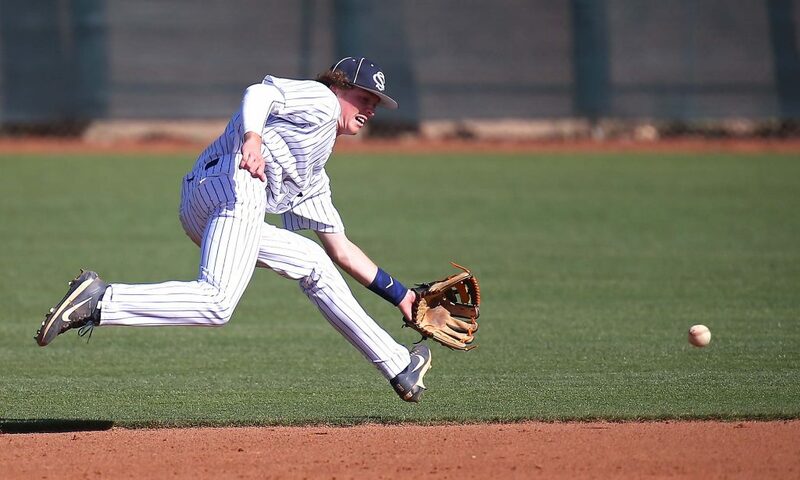 “(Assistant) coach (Randy) Wilstead brought us in this morning and told us that the pressure was off, that we don’t have to worry about trying to be perfect, that we can just go out there and have fun and that’s exactly what we did,” said Thunder first baseman Brigham Gardner. Of course, it’s always a lot of fun when the opportunity arises to beat a rival. 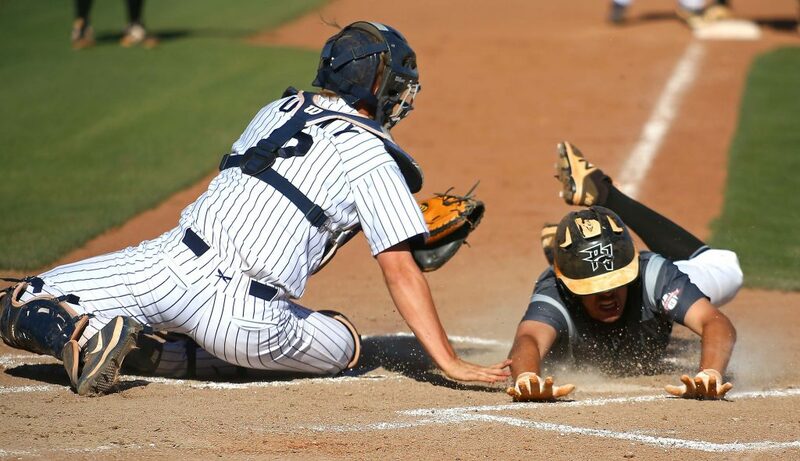 Thursday night’s elimination game against Snow Canyon didn’t exactly start right for Desert Hills. The Warriors got a solo home run by Austin Deming and another run came home on an error in the top of the first for a 2-0 lead. 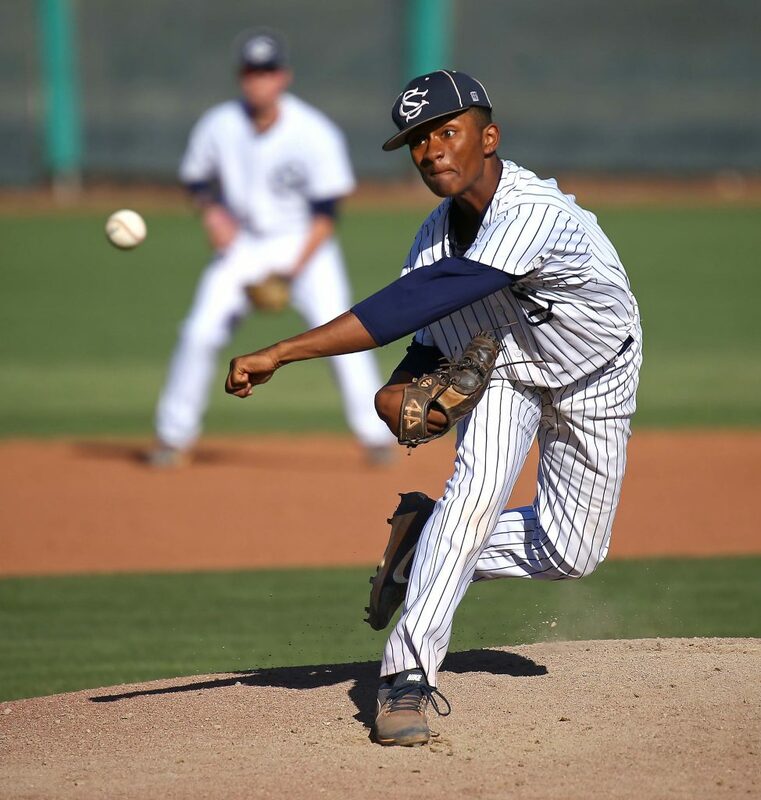 As it turned out, those young pitchers weren’t quite ready for the spotlight. 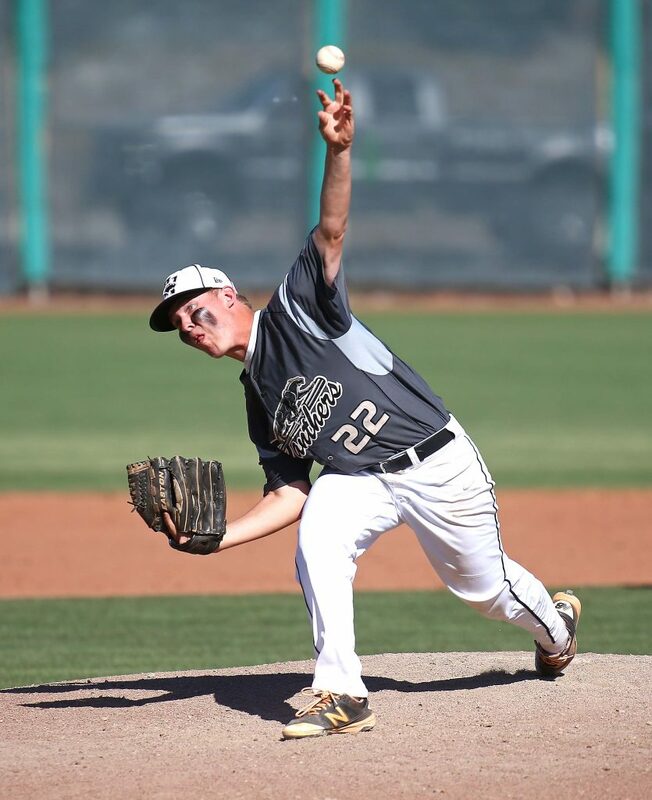 Desert Hills wasted no time in erasing the early deficit in the bottom of the first. Bo Barben doubled and Trey Allred singled. Drew Thorpe then singled to right to make it 2-1. 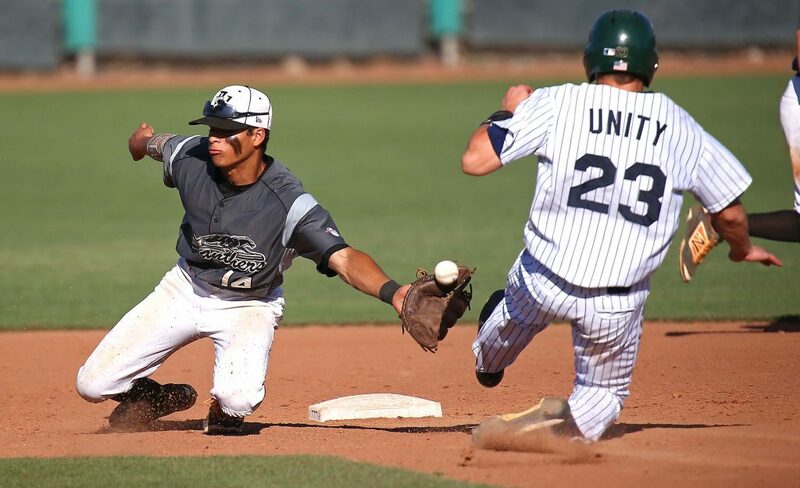 The Thunder ended up with 18 runs and 18 hits in the game, plus took advantage of four Snow Canyon errors. 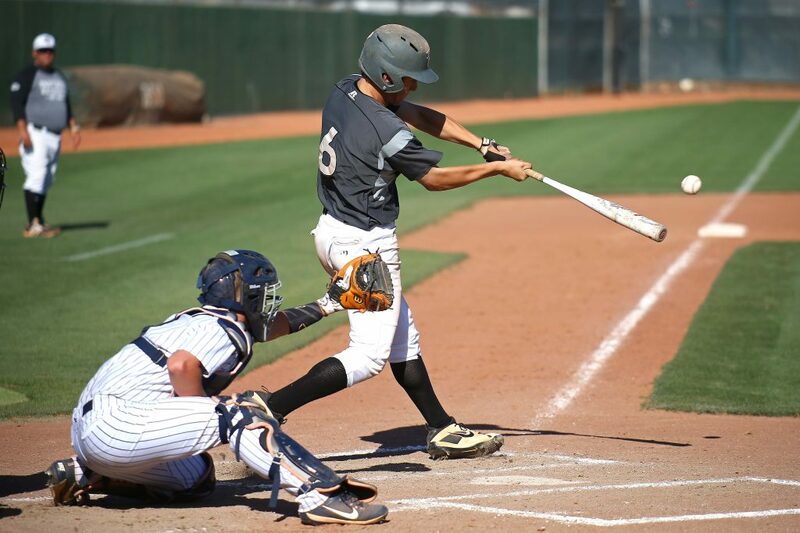 Trey Allred had four of those hits, with Thorpe picking up three base knocks and four other Desert Hills players (Peterson, Landon Levine, Bronson Andrus and Jaxton Reber) rapping two each. 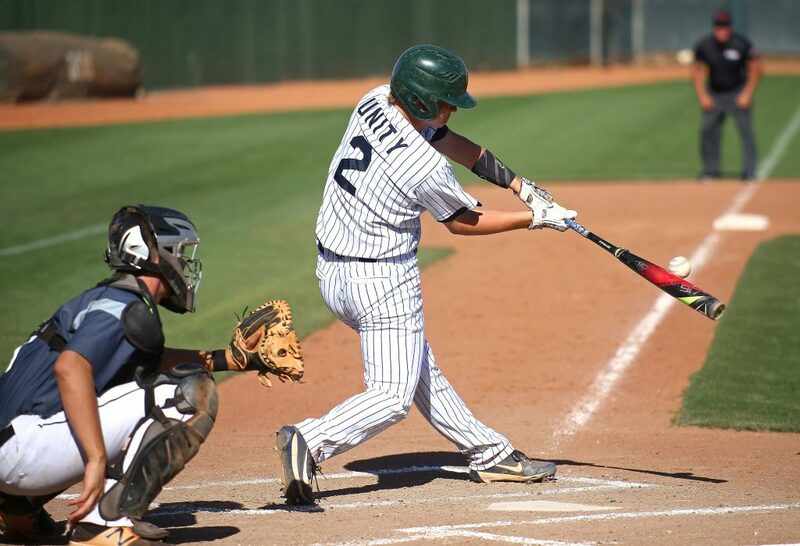 Snow Canyon, which finishes the year with a 26-5 record, had just five hits in the mercy-rule shortened game. 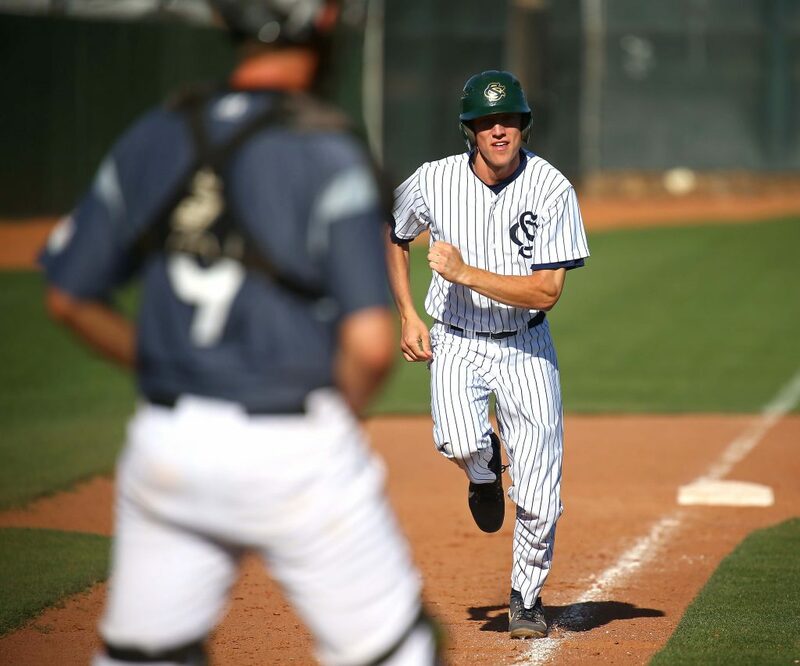 Deming, who finishes his senior year at Snow Canyon with a batting average of .529, hit his ninth homer of the season and scored his region-best 38th run of the year. As fine a tradition as the Dons have had over the years, they just weren’t at their best. 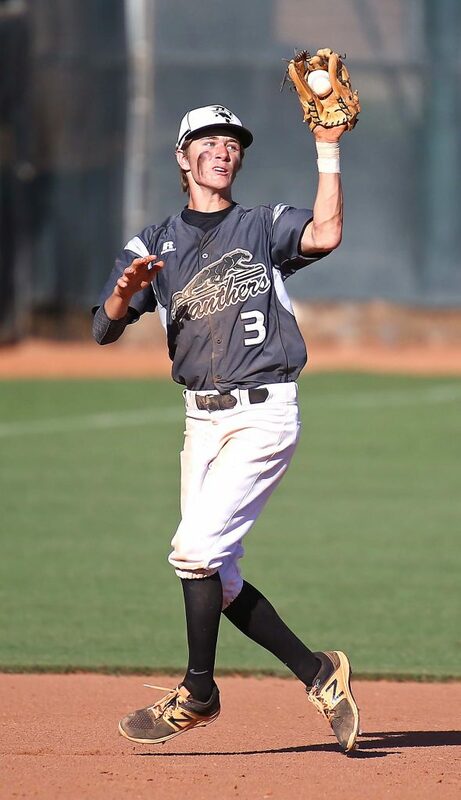 Sure, Desert Hills hit the ball hard and accumulated 11 hits in building a 9-1 lead. 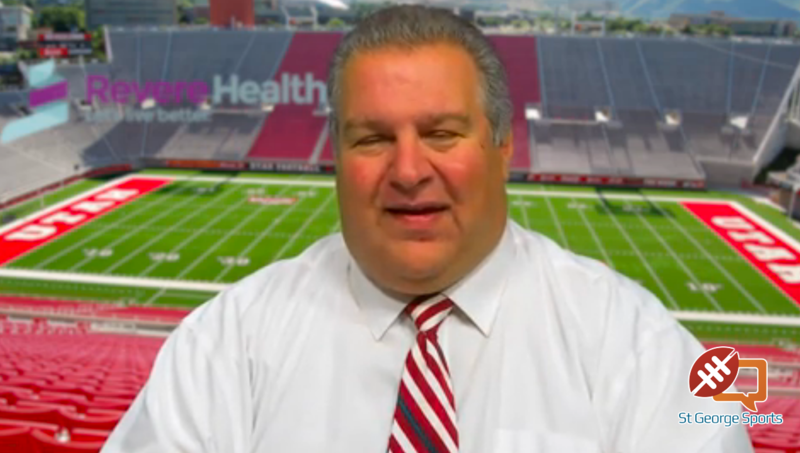 But six Spanish Fork errors also contributed to the lopsided advantage. 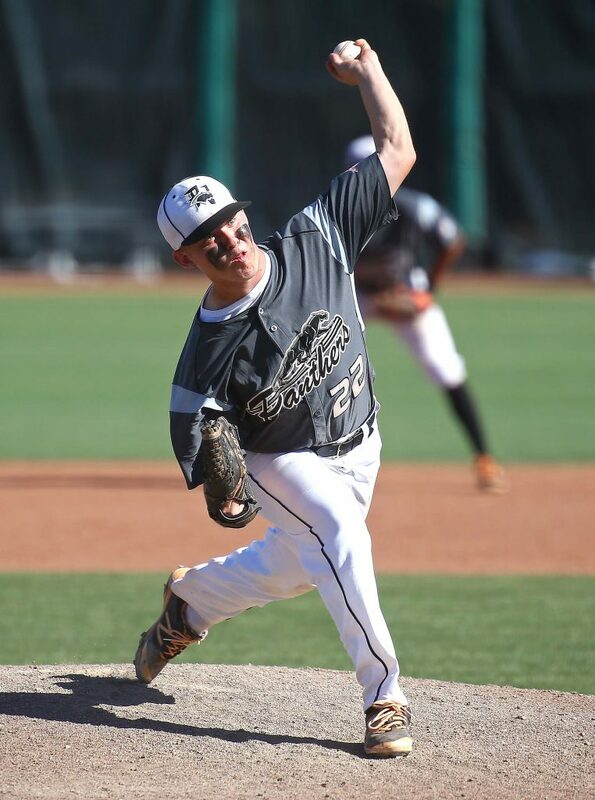 Drew Thorpe pitched the entire game, and he wasn’t at his best either. 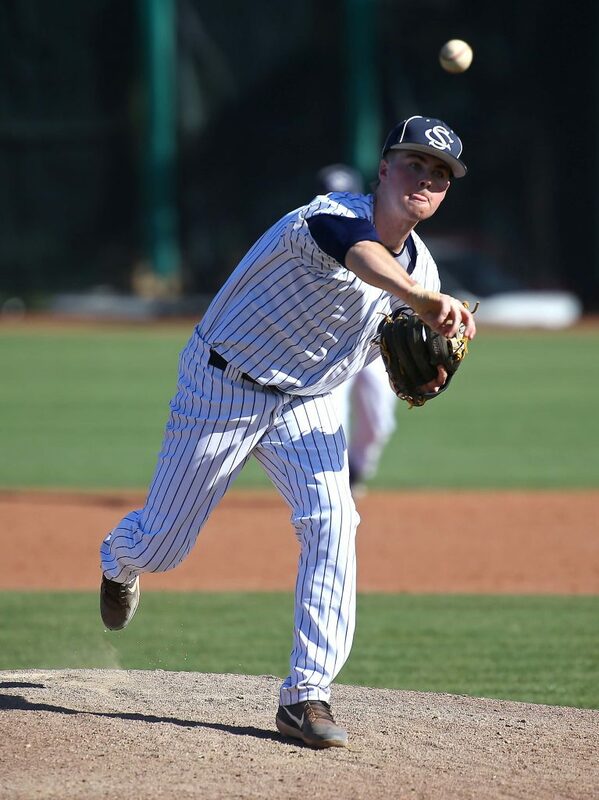 But the junior right-hander battled like a gladiator. 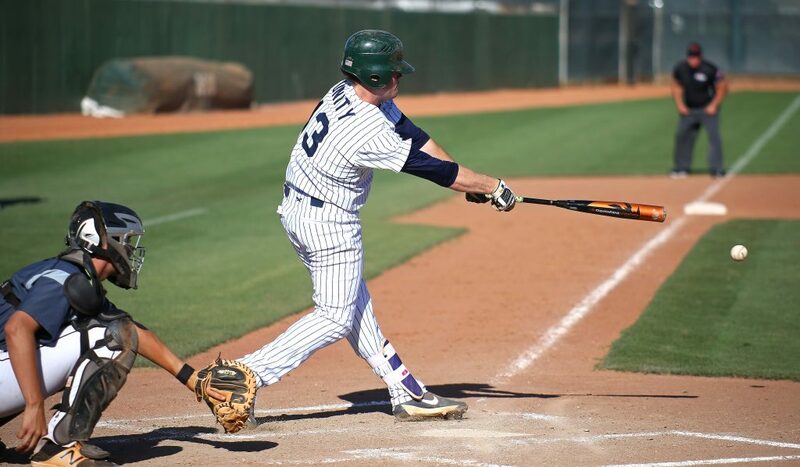 An error contributed to a four-run fifth by the Dons that cut it to a 9-5 game. 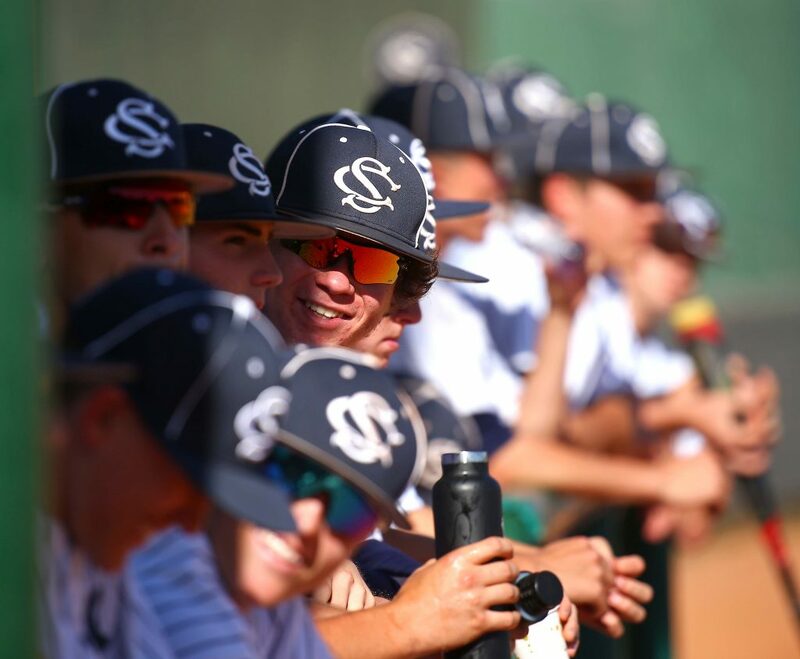 Spanish Fork then rallied for three runs on four consecutive hits in the bottom of the seventh to cut it to 9-8. 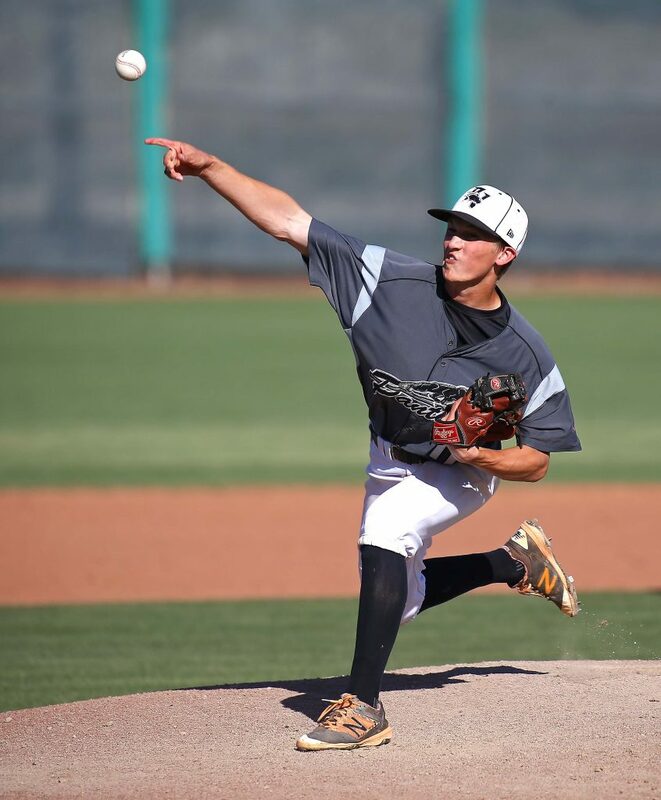 After a visit to the mound by the D-Hills pitching coach, Thorpe threw his 109th pitch (110 is the max allowed in high school) to Spanish Fork’s Carson Chappell with the tying run 90 feet away. 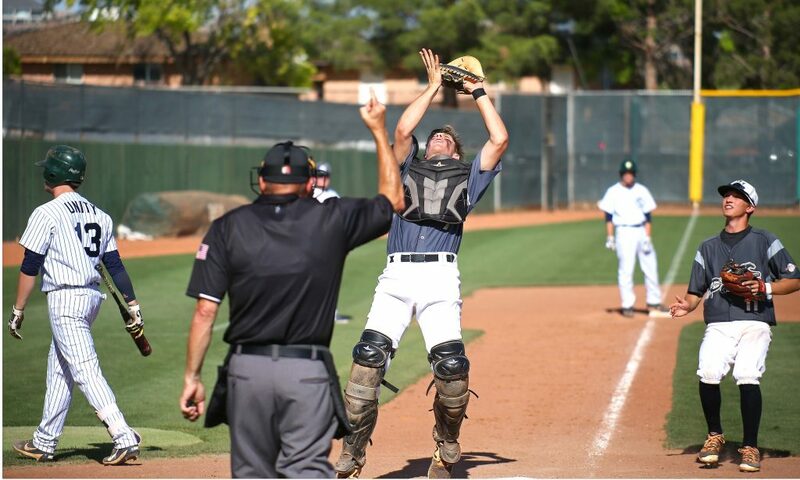 Chappell hit it hard – but almost straight up – and the shallow fly ball was gloved by Sam Rhoton to end the game. Gardner had an RBI double in the first and Thorpe bunted home a run in the third as DH had a 2-1 lead. The advantage soared to 7-1 in the top of the fourth as Levine singled home Blake Milne, then Thorpe followed with an RBI hit. 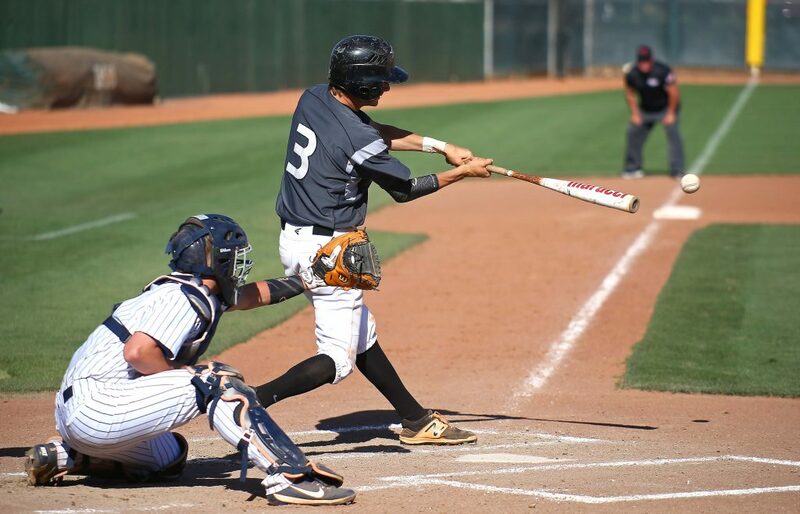 The Dons committed two errors in the inning, including a dropped fly ball in right field, to contribute to the five-run rally. In the fifth, Trey Allred seemingly put the game out of reach with a two-run double to make it 9-1. But the Dons climbed back in it with two two-run homers in the fifth and that rally in the seventh before Thorpe finally closed the door. The Thunder, 20-7, are one of three teams remaining at the 4A tournament. 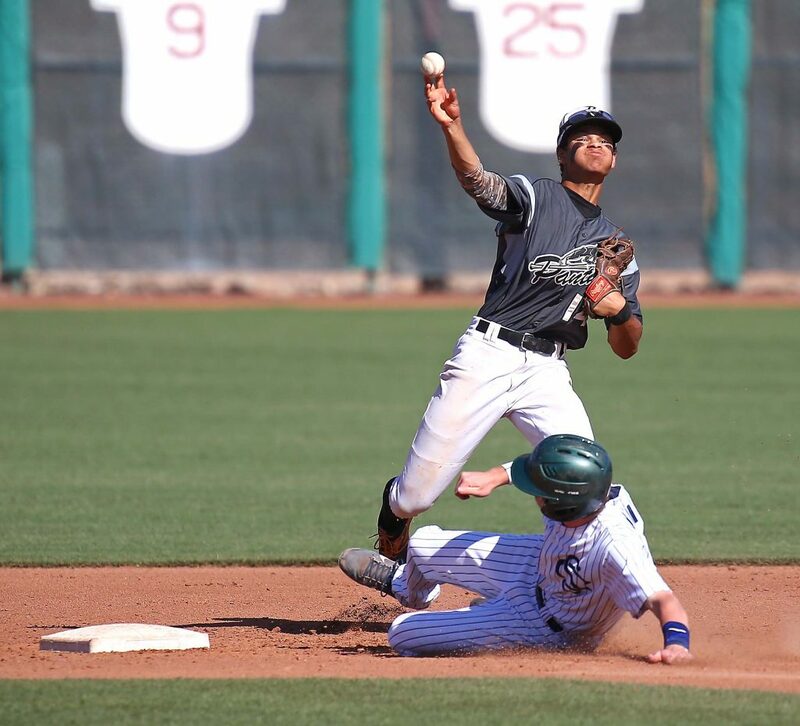 Dixie and Juan Diego play in the state semifinals at 4:30 p.m. Friday, with Desert Hills taking on the loser of that game in an elimination contest at 7 p.m. at Hurst Field. 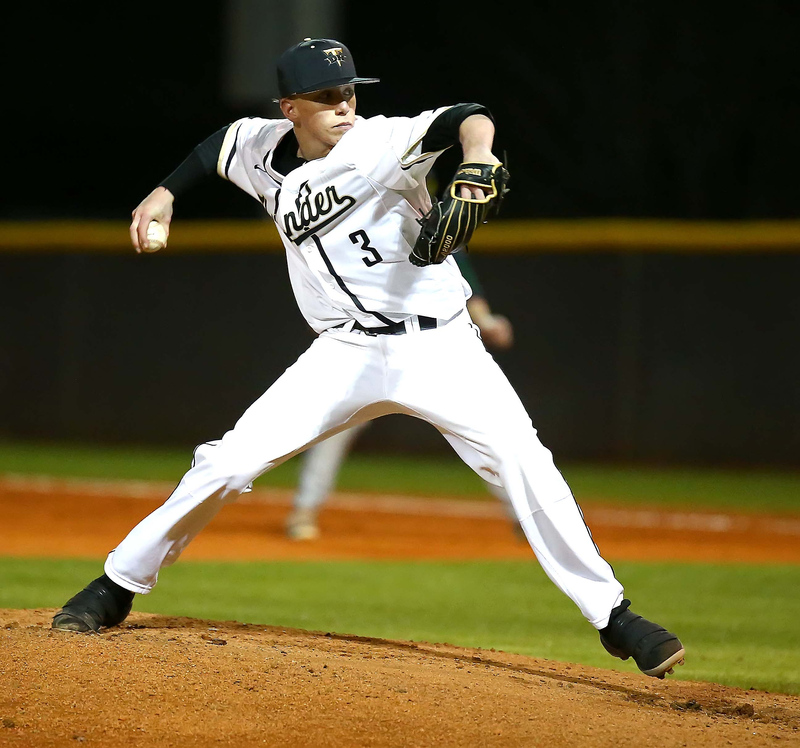 It was a see-saw game all the way, with the Warriors getting the last laugh with two runs in the bottom of the fifth and an insurance score in the bottom of the sixth to eliminate the Panthers. 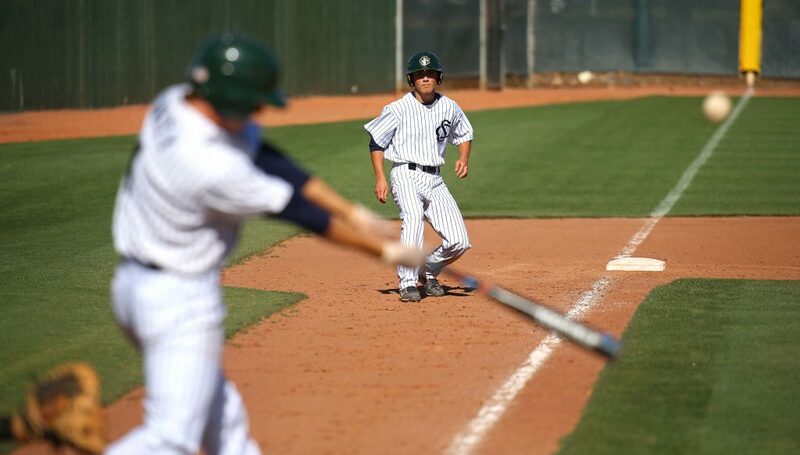 Snow Canyon went on top 1-0 in the first after a Pine View error opened the door. 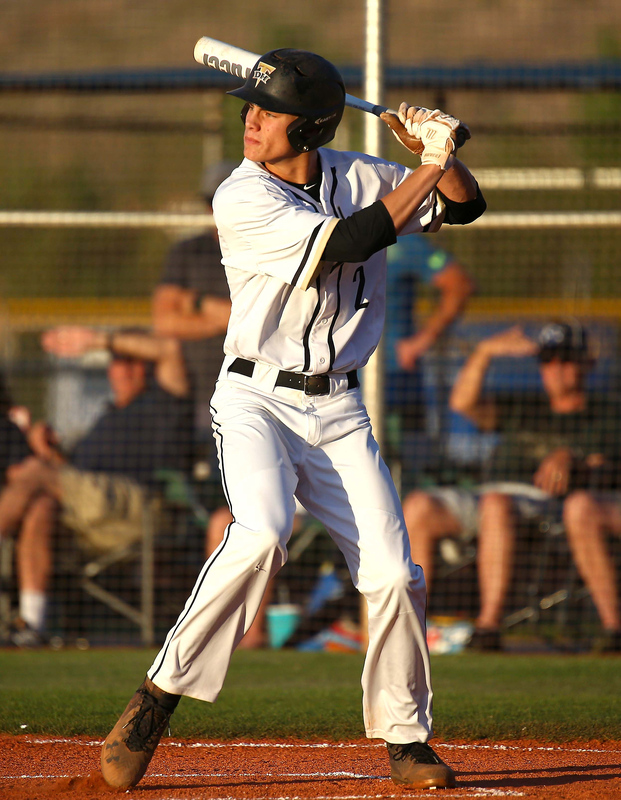 The Panther answered in the top of the seventh as Weston Sampson socked a two-run homer over the center field fence. 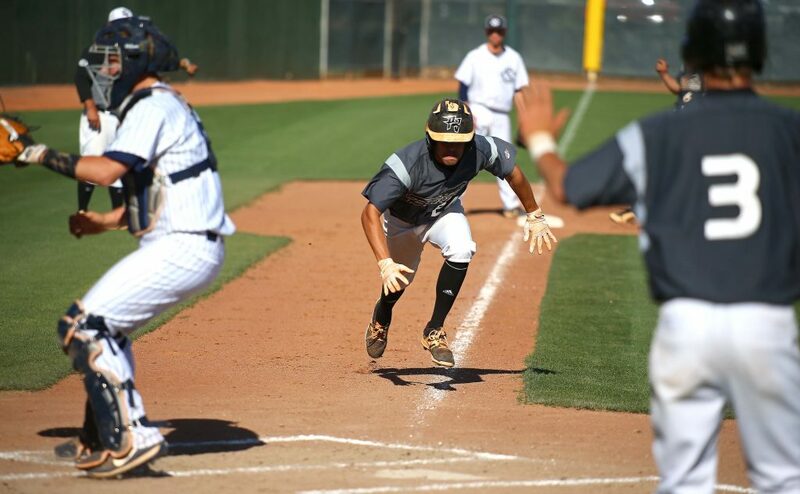 The Warriors snatched the lead back in the bottom of the third with three runs. 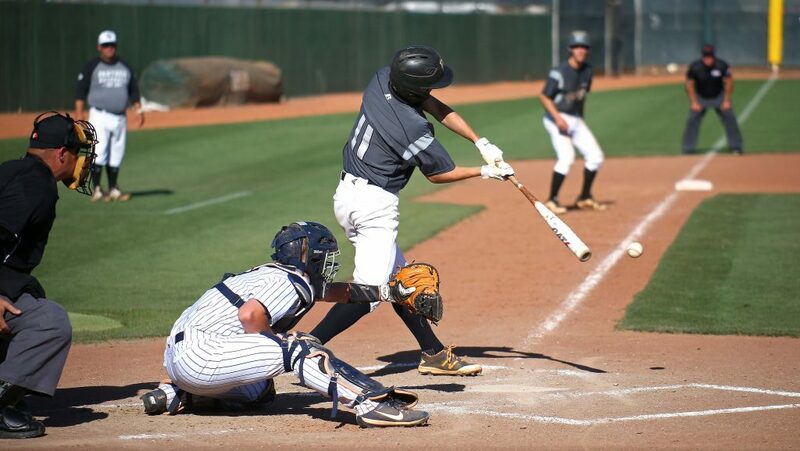 Zach Nowatzke started it with an RBI fielder’s choice, then Stephen Gubler plated a pair with a two-out single to right field. 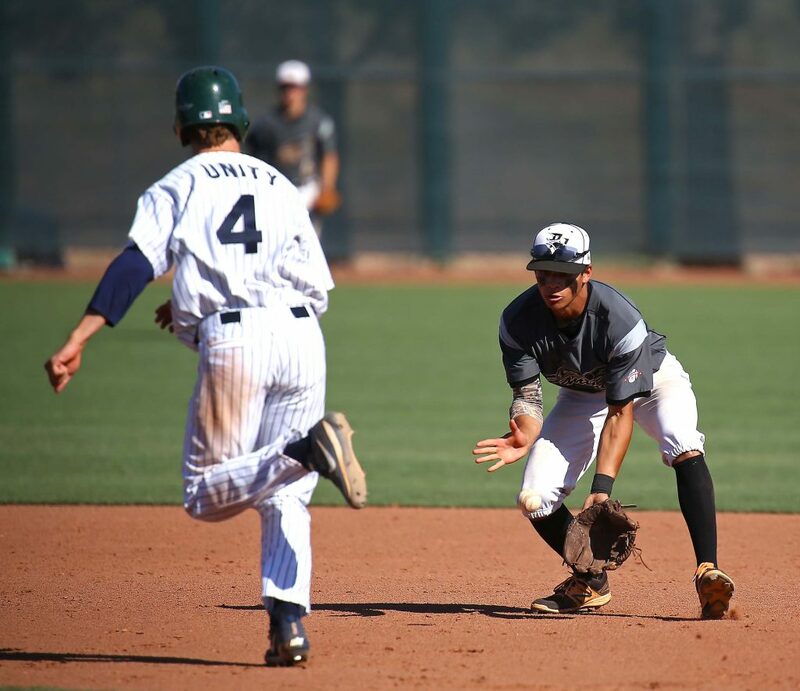 It was Pine View’s turn to go on top in the top of the fifth. 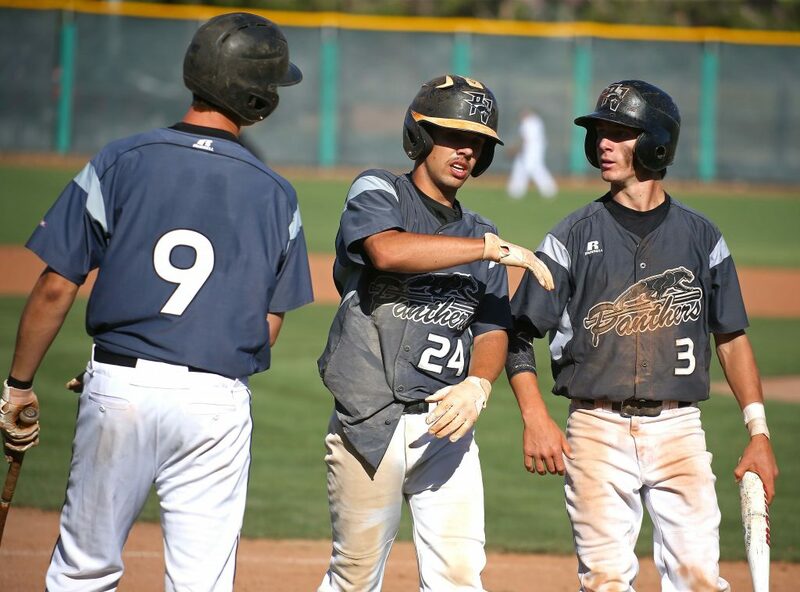 With two on, Dawson Staheli socked a double over the center fielder’s head to make it a 4-4 ball game. 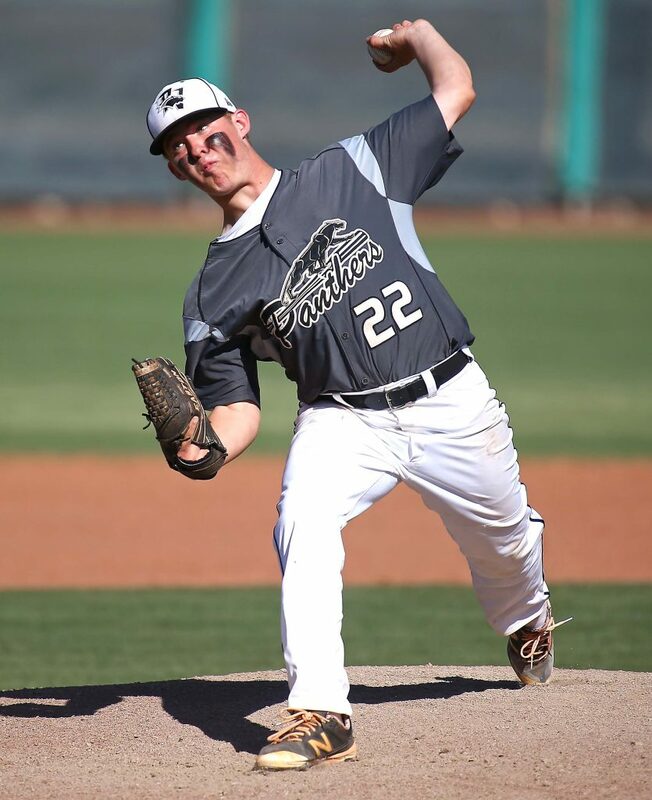 Two batters later, Luke Green hit a hard grounder that was thrown away for a Snow Canyon error. Staheli scored on the miscue, making it 5-4 for the Panthers. But in the bottom of the fifth, SC grabbed the lead for good. 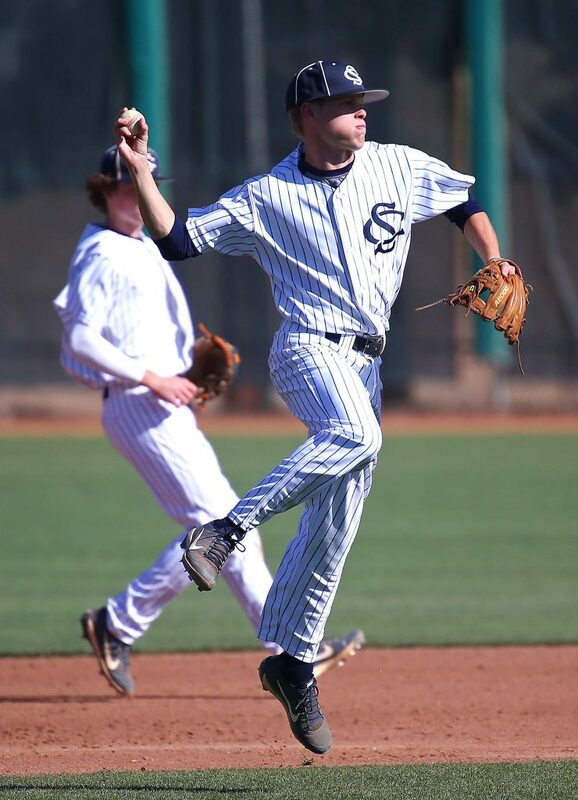 With the bases loaded and one out, Jed Jensen lined a single to left field that brought home Braden Baker. The next batter, Austin Staheli, hit a deep enough fly ball to sacrifice home Zach Nowatzke and put the Warriors up 6-5. 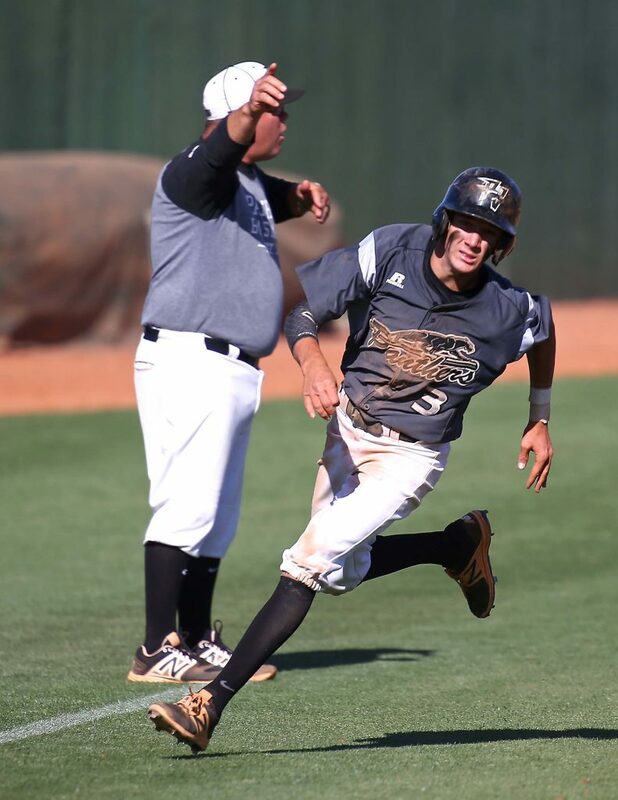 Cade Guerisoli scored on a wild pitch in the sixth to provide a little icing on the cake for the Warriors. 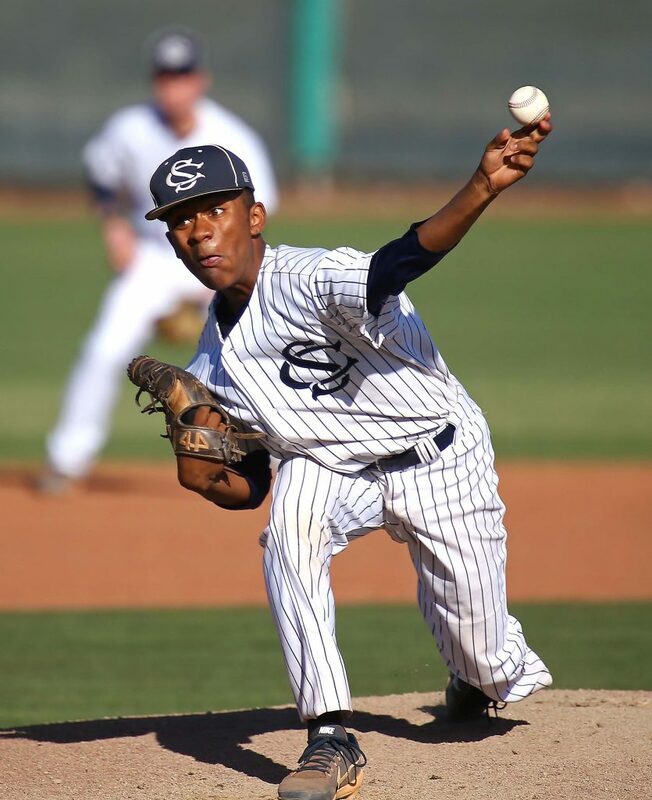 Makai Lee picked up the win on the mound for SC, working two scoreless innings of relief of Deming. 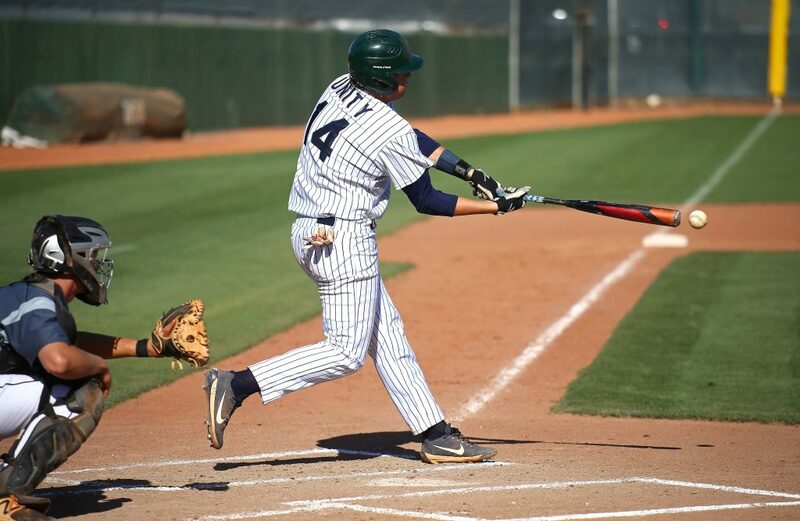 Gubler and Guerisoli had two hits each to lead the Snow Canyon offense. 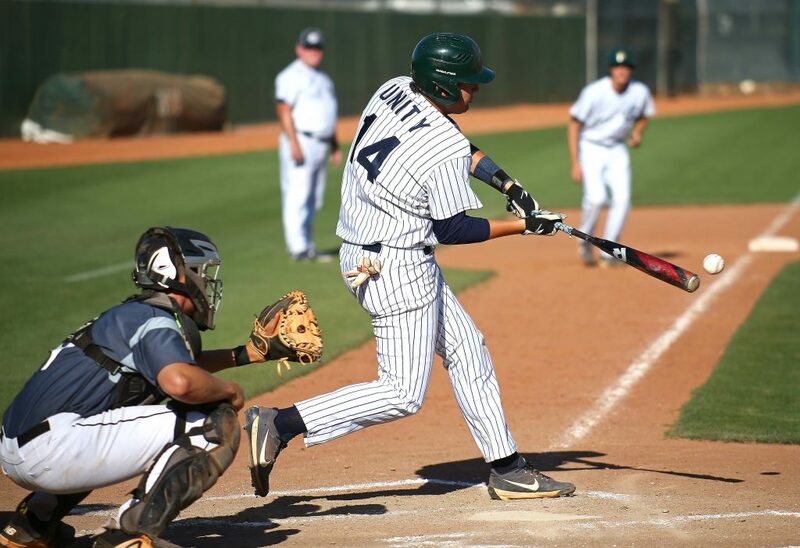 Snow Canyon, which finishes the year with a 26-5 record, had nine hits in the game, all of them singles. 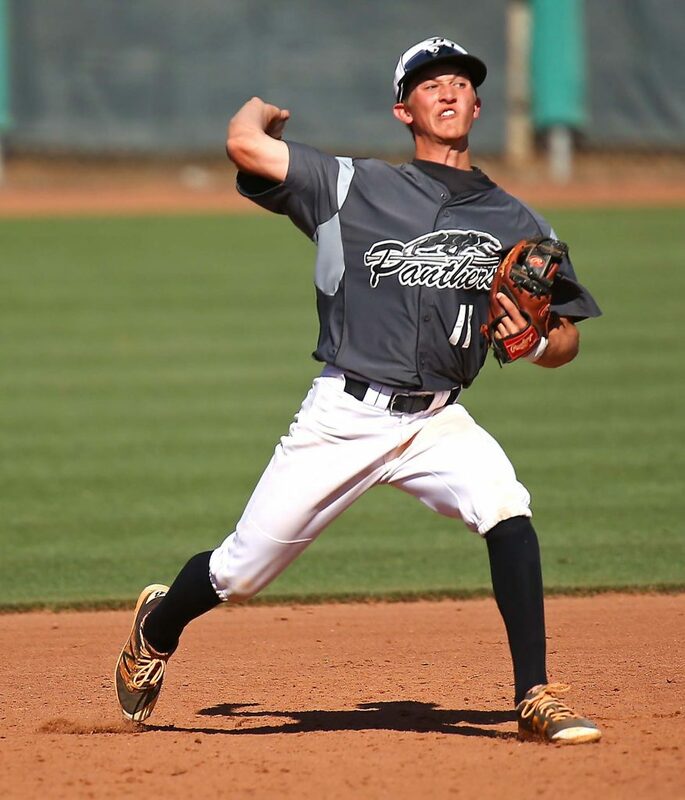 Pine View, which ends the year with a 16-9-1 record, got three hits from Tanner Staheli and two RBIs each from Sampson and Dawson Staheli.